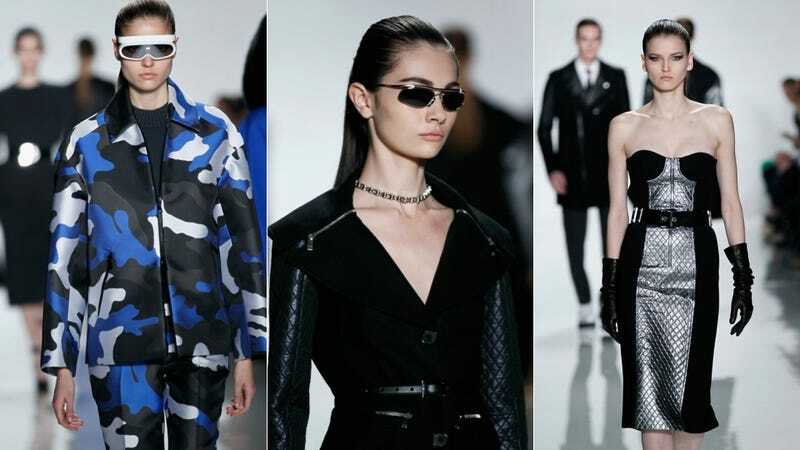 The collection Michael Kors showed for fall 2013 had a slightly space-age vibe, thanks to reflective fabrics and shield-like sunglasses. But there were also weird camouflage prints, intense neon hues, and working-gal tweedy suits. Oh, and zippers. And belts. And peplum mullet skirts. It was all over the place, yet perfect for military ladies who lunch at lunar cafés. Take a look.